Southeastern Pennsylvania Transportation Authority (SEPTA) set a new regional rail ridership record, with 36,023,000 trips taken by customers during Fiscal Year (FY) 2013. Fiscal Year 2013 was the 12-month period from July 1, 2012 to June 30, 2013. Ridership on SEPTA's 13 regional rail lines increased by 2.2% over the course of the year. System-wide, SEPTA recorded 337.3 million trips during the year on its trains, buses and trolleys. While total ridership was down slightly from the 339.3 million trips in Fiscal Year 2012, the numbers for FY 2013 were impacted by a two-day shutdown due to Hurricane Sandy. SEPTA has an average weekday ridership of approximately one million trips. Over the last 15 years, regional rail ridership has increased 50%, with annual ridership up from 24 million to 36 million trips. SEPTA's ridership continues on an upward trend on all modes of travel, with average annual increases of 1.9% over the last seven years and total annual trips up by more than 40 million since 2006. SEPTA GM Joseph M. Casey credits aggressive efforts in recent years to improve SEPTA's aging infrastructure, as well as customer service-focused initiatives, for helping attract and retain new riders. Regional rail service has also been enhanced with the addition of 120 new Silverliner V railcars, which replaced vehicles that dated to the mid-1960s. The Silverliner Vs offer customers state-of-the-art amenities, and have helped improve service reliability. 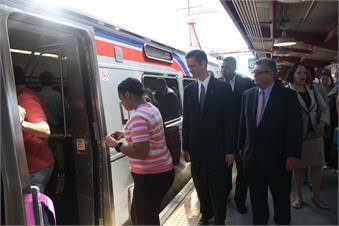 "SEPTA is thrilled to welcome new riders to the system," Casey said. "We will continue work on efforts to improve the customer experience, which is helping drive this sustained ridership growth." SEPTA's ridership has grown in recent years despite major funding challenges. SEPTA's capital budget is projected to remain at approximately $300 million for the fourth consecutive year due to reductions in state funding. This represents a 25% decrease compared to Fiscal Year 2010 levels. 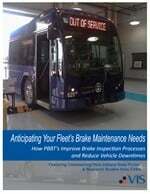 The capital budget funds critical initiatives, such as infrastructure improvement projects and new vehicle purchases. Overall, SEPTA's capital budget is at a 15-year low and is less than one-half of similar-sized peer transit agencies nationwide. These funding constraints leave SEPTA without funds for a number of vital projects, such as repairs to 1930s-era electrical substations or upgrades to aging bridges.